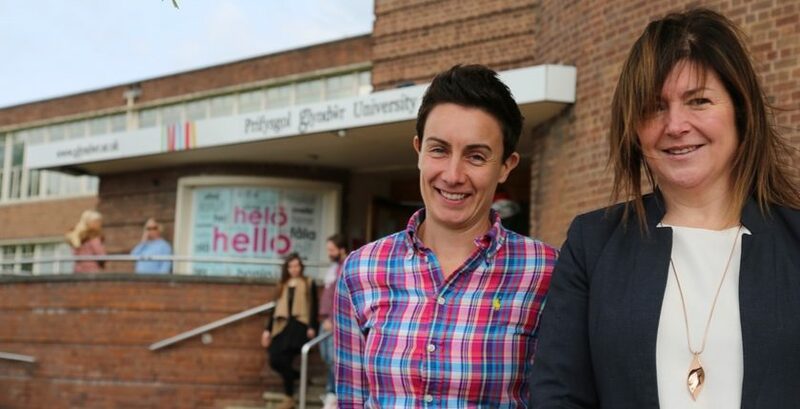 A research project aimed at developing international links for social enterprises is being undertaken by a Wrexham Glyndŵr University academic. Dr Sarah Evans, who is a lecturer at the University’s North Wales Business School, is working on the Erasmus+ funded project, which examines how social enterprises can boost their international links. The InTSEnSE (Internationalising Trading for Social Enterprise Sustainability and Education) project will work with social enterprises across the UK who have built or who are looking to build international links to develop and strengthen those their enterprise activities – and to look for new ones. Explaining the project, Sarah said: “Social enterprises are, essentially, organisations which use commercial means to bring about positive changes in the world – whether that is improving social, environmental or financial well-being. As part of her research, Sarah has already met with a number of social enterprises – including Wrexham based organisation, Empower – Be the Change. Founded by Jo Clay, Empower – Be the Change is one of a growing band of social enterprises which are not only working in their local communities – but also developing international links, including programmes provided in India in partnership with social enterprises there. The company offers training, qualifications and guidance through guided programmes – working with people aged from 15-70 in a range of settings. “The company came together two and a half years ago and started trading in May 2016,” said Jo. “We have lots of clients across the region, such as the Job Centre and Remploy – and we have worked with Glyndŵr University too. “I set up the company following two and half years spent in India volunteering and working. Firstly as an international volunteer before working for Vi-Ability to set up and manage an international volunteer programme for young unemployed people from Wales. For this reason I was really interested in Sarah’s research. Sarah added: “People who internationalise their social enterprise, like Jo, are already seeing possibilities to expand, particularly beyond Europe. “The research I am carrying out is aimed at helping that development – looking at how we can develop the work of social enterprises globally, and embed them in European and International networks. “It will also be used to produce high-quality multi-media learning materials – which will be used to boost higher and vocational education and training programmes across Europe. “I’m really grateful to the diverse range of organisations who have already taken part – and I’d be delighted to hear from other social enterprises too. Anyone who wants to discover more about taking part in the research can email sarah.e.evans@glyndwr.ac.uk to find out more about what is involved. Read 1,228,152 times in last 30 days, and 73,870,740 times since we started in 2011.